You have something you were born to share with the world. You want to make the world a better place, but your spirit cannot be contained by a business plan. You are brave and you have questions, need support and crave genuine community. Creative business? Start here! Our mini-course helps you to develop your business YOUR WAY. Your voice is the most important voice in your small biz. These courses will help turn down the noise and transform the way you think about marketing. After both creating successful small businesses from scratch we wanted to help other people on this life changing journey- encouraging you to do it YOUR OWN WAY! We believe that knowing yourself is the first step to creating your life’s most fulfilling and sustainable work. So instead of just giving answers, our courses help you ask yourself better questions. Definitely the most intuitive, creative and fun marketing course I’ve ever done. I really don't like marketing and selling myself is hard for me, but the exercises and perspective in this course were actually really useful. I felt like I came out with a better understanding of what my strengths are, to whom those strengths appeal and how I can communicate that in the simplest, most genuine way. The course is full of great insights! It helps identify your strengths & weaknesses so you won’t get caught with your proverbial pants down. 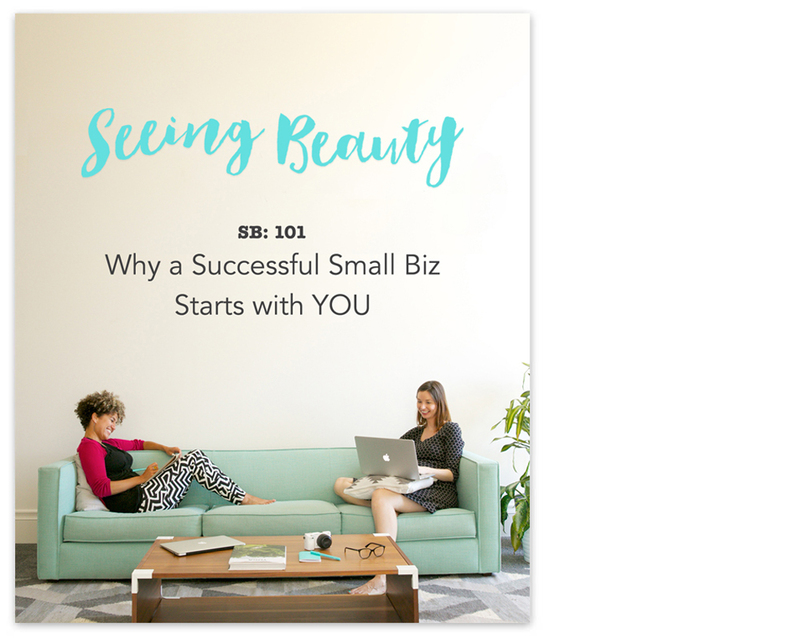 As entrepreneurs, our small businesses reflect who we are.These simple, effective exercises get you the info you need fast, so you can find the path that is right for YOU. As an actress, it has taken me a long time to discover my true self. I love how this course asked questions first instead of just giving answers. Through investigating who I am and what I want, I felt like this course was speaking to me personally. This new self knowledge will definitely help me in my career! As a small business owner and women’s business coach I’ve found that the happiest people are those who choose lives—professionally and personally—that authentically match their inner desires. 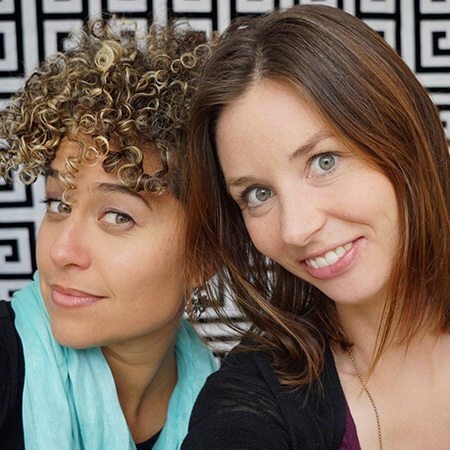 Shaleah and Karina have created a tool to help women find that match and continue on the road towards their best lives. This course changed my thinking about marketing! I've always been scared of marketing, seeing it as way of shouting "I am better than you!" to anybody that will listen- an attitude I despise! But this course taught me to be able to trust in my uniqueness in what I offer the world. Step by step I transformed my self confidence learning that I can approach marketing to the public in a non aggressive way that I feel reflects who I am. To look inside myself and my business and see just how aligned my ideas, passions, and proclivities really are. This course encouraged me to set aside the time for important reflection and validated me in a way that would have been much harder and taken much longer had I done it on my own. This course saved me from the jungle of “marketing traps”! This marketing course was revealing to me, as it taught me not to take things for granted and instead to focus on my values and what I would love to express outwards to people. 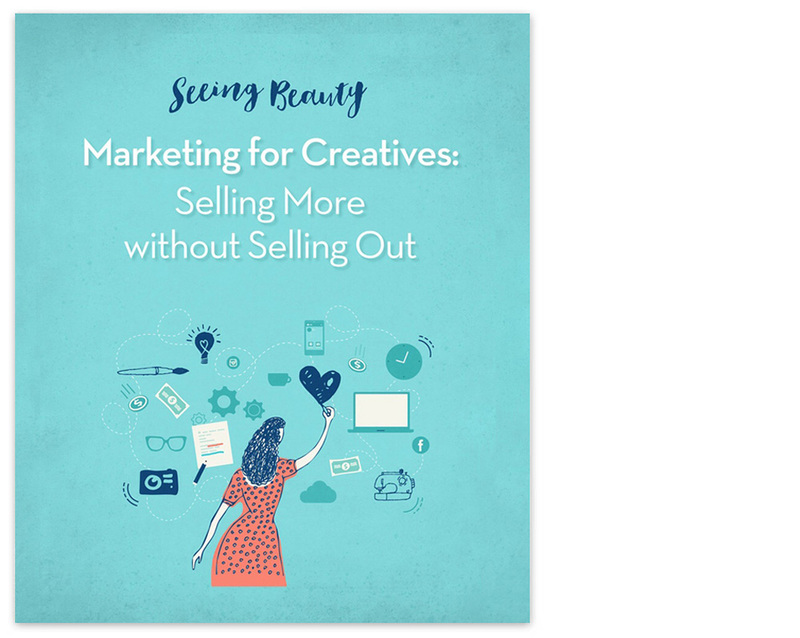 Shaleah & Karina brought clarity in an easy and playful way and showed me that marketing is not “having to sell your services”, but describing who you are and what you love to share with the world. The stories made me know I’m not alone. of new things about marketing myself and my business. Often we assume everyone else is instantly successful and everything is easy for them. But in reality we all have struggles and fears. This course offered a good balance of personal and practical info and I learned a lot of new things about marketing myself and my business. This course provided the kind of “gut check” I so desperately needed. Its insights helped me to outline my true desires as a small business owner and the exercises facilitated motion in areas where I was stagnating. I am really looking forward to further discovering myself and my brand. Being an entrepreneur is both empowering and challenging. We believe that YOUR VOICE is the most important voice and if you can hear that voice clearly, you can accomplish every beautiful thing you wish. Through practical resources and inspirational support, we exist to encourage you to follow your instincts and realize your unique potential. We are pro-practical, positive and purposeful and anti-spam: we only email when we have something exciting to share!